Back Door! 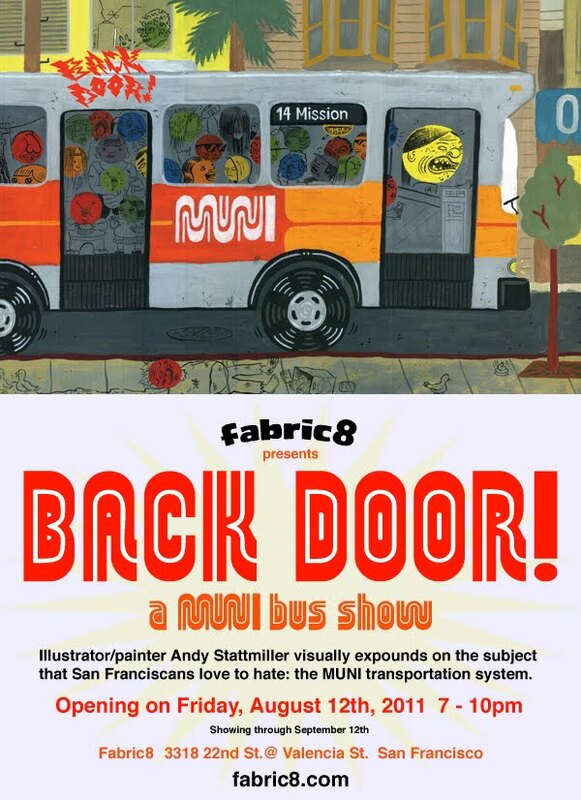 A MUNI bus show. Coming August 12th to Fabric8, BACK DOOR! A MUNI bus show. 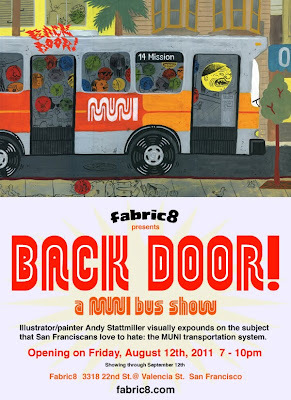 It's a series of paintings by yours truly, inspired by the much loved/hated San Francisco bus line.